Examines the quality and choice of plans, affordability, and ease of enrollment in existing state-run exchanges. Outlines lessons learned, including the need for ongoing refinement, consideration of broader market interactions, and public outreach. 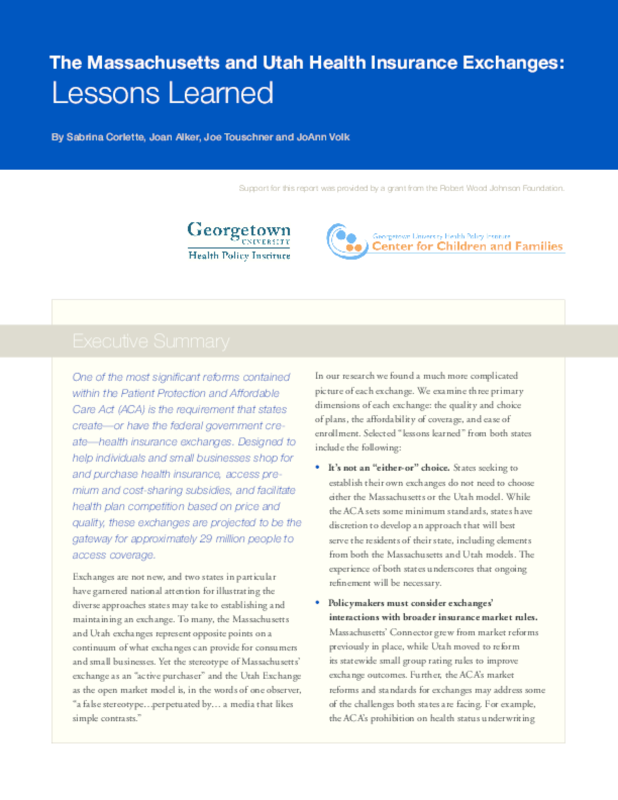 Copyright 2011 Georgetown University Center for Children and Families.